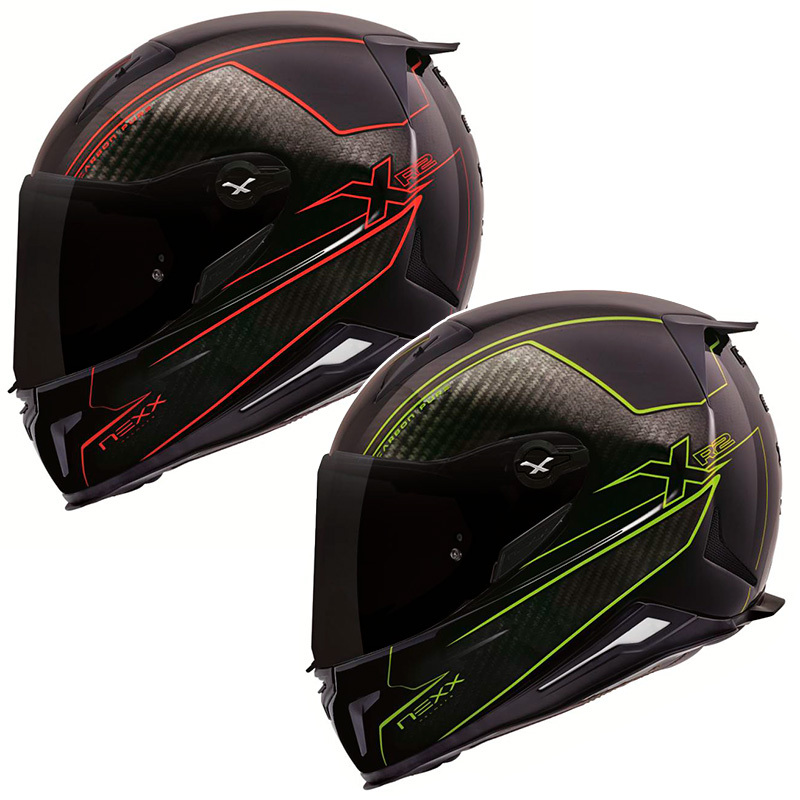 Nexx helmet, manufactured in carbon. Shell in 2 different sizes (XS / L, XL / XXXL). 3D screen of anti-scratch and transparent polycarbonate. Screen prepared for Pinlock (not included). Screen prepared for Tear-Off (not included). Security lock on the screen with click. Ventilation Air Dynamic System, 2 inputs and 4 outputs. Very soft interior made in X-Mart, anti-sweat and anti-allergic. Side pads and removable and washable interior. Noise reduction pads. Aerodynamic adjustment at the base of the helmet. Rear spoiler for optimized aerodynamics. (The image visor is smoke, series is transparent). Also available Pinlock Nexx XR2.